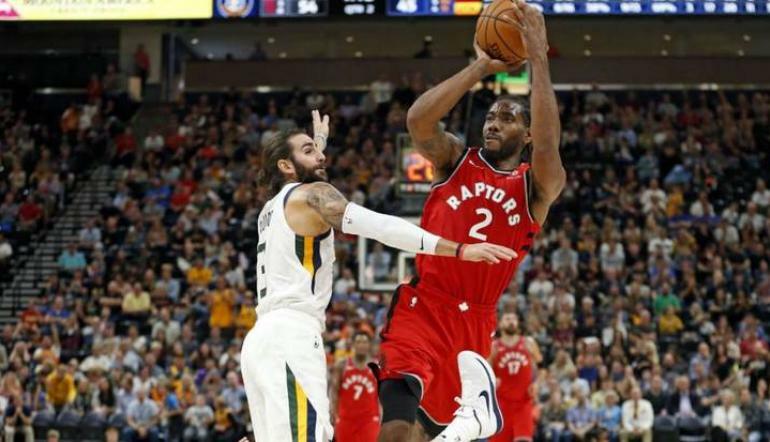 The NBA is a great sport for betting totals, with the action going from end to end and points being scored on a regular basis. It is no surprise to see many punters choosing to bet on this market, sometimes instead of betting on the actual game itself. If you are interested in placing a bet on the total points betting market, then here is your guide to everything you need to know about NBA total points betting before you start placing your wagers. If you are willing to make money from NBA betting, you need to know best online betting companies, to bet protifable and get best odds. Also check our crypto bookies page, where you can find bookmakers that accepts Bitcoin or other cryptocurrencies. 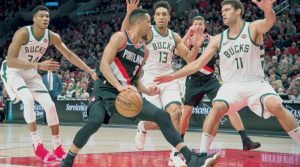 You can bet on the total points, or goals, in a number of different sports but the NBA is certainly a great league to do it on, with a large number of scoring chances and points scored. This makes for an interesting bet that keeps you involved in the game for a long time, something that some other betting markets don’t offer. This makes it great for either a fun bet or a serious punter if you are looking to find the edge on a new betting market. The market is available in two different formats, one is a two-way market and this is the most common way to bet on the points, while the other is a three-way market. The two-way market will always have .5 on the end of a points total, this is something we see a lot of the time in points betting to ensure that there is no draw. So, for example, with a basketball game, the two-way line could be set at 180.5. On this line you bet over or under, so you are backing 181 points or more, and 180 points or less, depending on how you feel the game will go and how many points will be scored. Generally speaking, the bookmakers try to make this line as level as possible, so you tend to see the same price offered for both outcomes, although sometimes the market may be slightly different and we have a favourite. The three-way market has a middle section, which gives three options to bet on. So in this instance, you would see a market showing 169 or less, 170-190, 191 or more. Generally speaking, the prices are kept as close as possible, although because this is a three-way market, you will often find a favourite emerge and then two slightly bigger priced section. Despite that, you can usually see a market that offers prices that are 6/4, 2/1, 2/1, so you can still find value on this market if you look hard enough and you study the form of the teams playing. The positive to using the two-way market is that there are only two possible options, either above or below the line. This makes it an easier bet to place, especially for newcomers, and also there is more chance of winning when playing with this line. The downside is that the prices reflect that, and generally speaking, every bet you place on this market will be odds on. The positive factor in using the three-way market is value, especially if you have a strong opinion. For example, in the above markets, on the two-way line, you are backing 181 points or more, whereas on the three-way line you can back 191 or more. If you think the game is going to be full of points then the three-way market offers you the chance to bet at a higher price on a higher line. Whichever market you choose to play, both are simple and easy to understand, which is great for new players. This will allow you to quickly get into points betting, and allow you to understand what is going off and what you need for your bet to be a winner. It may seem a very simple way to look at things, but if you are just getting starting with points betting then you don’t need to be diving too deep into things. Look for teams that score well and like to play attacking basketball, and stick with those. Teams with big star names love to put on a show for their fans, especially when playing at home, and they will not relent in the final stages, they will keep going and keep putting points on the board. Those teams are likely to play very differently away from home, when they are concentrating on getting the win, and not turning the game into a show for their fans. This is often when people will slip up, and it is vital that you understand and look at the difference between what teams do at home compared to away. The tempo of a basketball game can often have a huge impact on how many points are scored in it, and this is something to consider too. We have a number of NBA teams who are low points scorers because they like to slow the game down and take their time when attacking. This is often something that leads to a poor game to watch, but on the other hand, it is something that you can take advantage of from a betting point of view because you can back under the line with these teams. The last thing to think about involves in play betting. Towards the end of a game, if teams are trying to get back in it, they will sometimes purposefully foul their opponents, to get the ball back. This can lead to a very stop-start game, but it gives many scoring opportunities and in just a couple of minutes, we can see a lot of points scored. If you are betting in play then be sure to factor this into your bets if the game is close. If a game is low scoring, that pattern is not always certain to continue, anything can happen in the final few minutes of a game. If you want find more information and online betting guide on nba, visit nba betting guide site.